Miriam Makeba pronounced "Mama Legend"
Recording artist and civil rights campaigner Miriam Makeba has been honoured by MTV at the third annual MTV Africa Music Awards with Airtel. The life and work of the South African singer and civil rights activist, who died in November 2008, will be celebrated at the MTV Africa Music Awards with Airtel in Lagos on Saturday 11 December 2010. 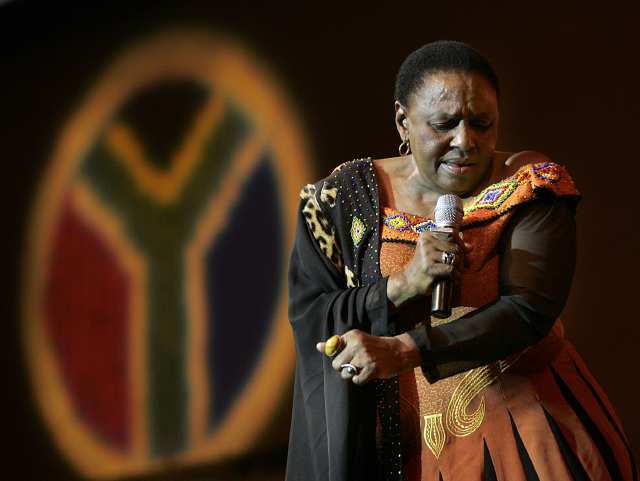 Makeba, whose stellar career spanned more than 50 years, was honoured by MTV for her musical talent and for her role in bringing African music and rhythms into the global spotlight. In her long and glittering career, Makeba performed for John F. Kennedy, dueted with Harry Belafonte and Paul Simon, brought African political issues into the mainstream consciousness and won comparisons with Ella Fitzgerald and Frank Sinatra. A victim of oppression herself, Makeba fought tirelessly to ensure that others would be free from oppression, and was appointed a UN Goodwill ambassador in 1999. Miriam Makeba follows in the footsteps of previous MAMA Legend award winners Fela Anikulapo Kuti (2008) and Lucky Dube (2009).